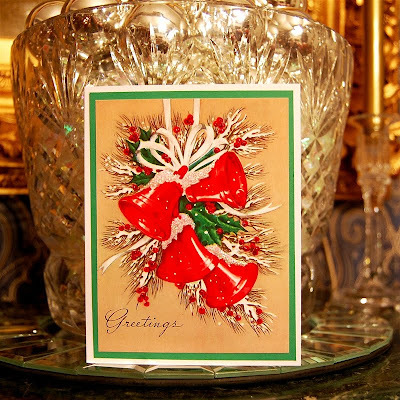 When you have a great digital image and apply some creative design techniques to it you can make unique and special cards for any event or holiday. 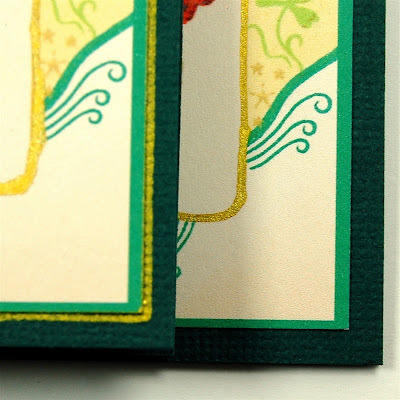 The designs can be printed and cut and then layered on a conventional card base and embellished. This is a good way to speed up the cardmaking process when you need a group of similar cards. I was looking through some floral images at Twisted Papers and I found one that appealed to me for a St. Patrick's Day project. 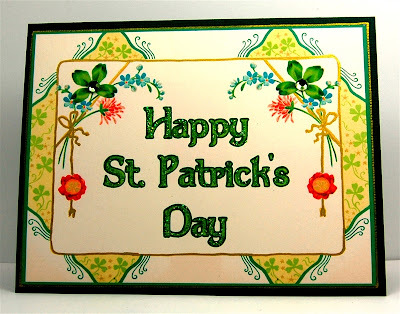 This image is not in the St. Patrick's Day category but the four leaf clover images made it seem appropriate. you can find this image on the site HERE. I brought this image into the Silhouette Studio software by simply dragging and dropping it on to the mat. 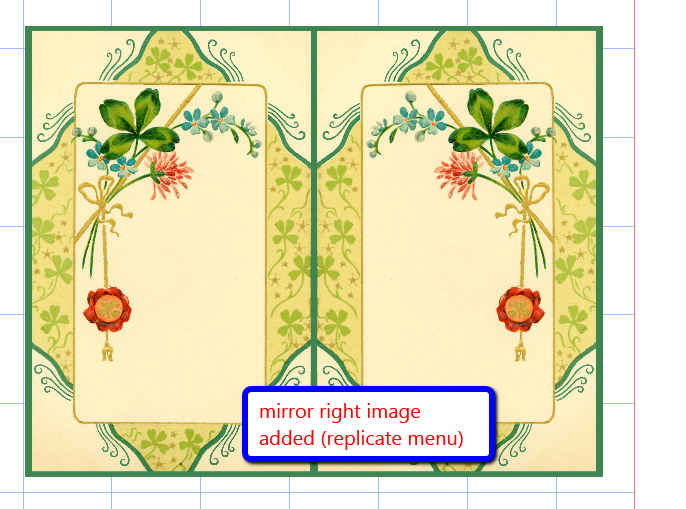 I wanted a more symmetical card design so I used the "mirror right" command in the replicate menu to create the image seen above. I could print this as it stands and add a sentiment on a raised shape in the center. 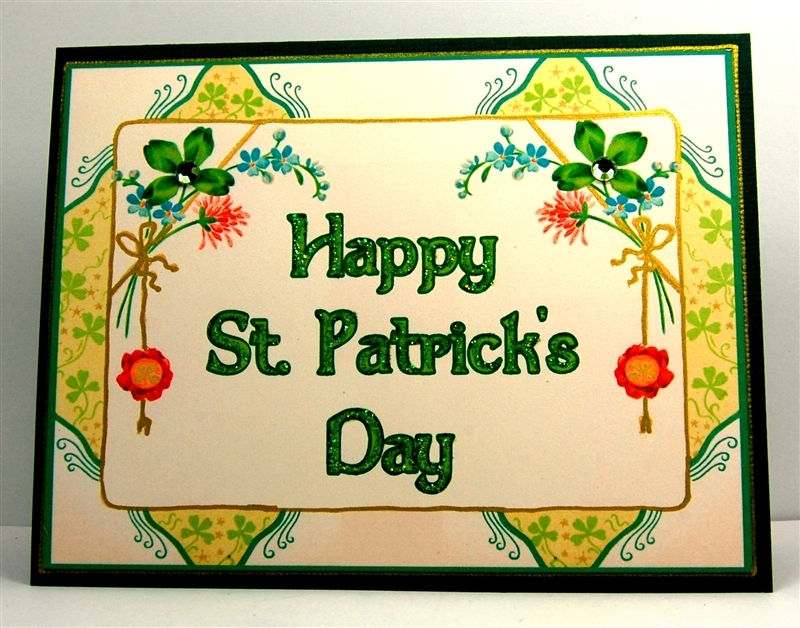 I decided to try to make a better place for the sentiment directly on the card front by adding some rectangular shapes and using the "eye dropper" in the fill color menu to sample the surrounding color for each shape. I adjusted the size to 4 x 5 1/4 inches to layer on a standard A2 card. Then I printed two copies of the design on an 8 1/2 x 11 piece of white cardstock. For some reason my print and cut registration mark on the top right was not printing properly. It didn't matter for this project since it was quicker and easier to simply use a trimmer to cut the card layers. 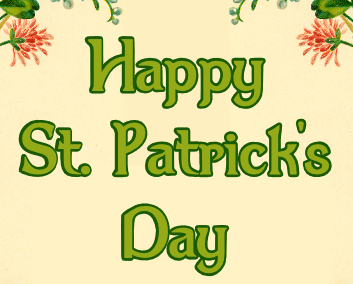 I added the sentiment using the "Dumbledore" font and created an offset to shadow the words and a darker shade of green. 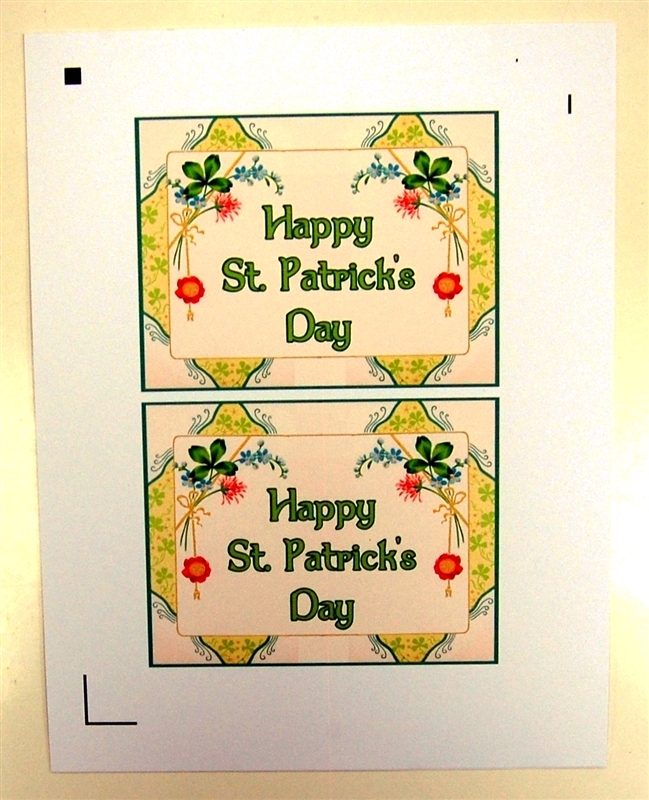 You could choose to cut the words and layer them on the card front but it is definitely quicker to print them. I added Stickles in the "eucalyptus" color to highlight the words. 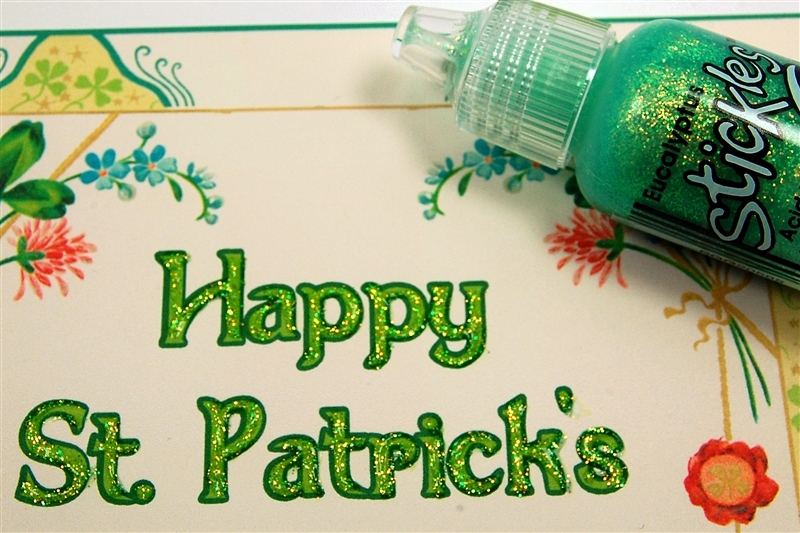 The effect of the sparkly glitter makes any card seem special. 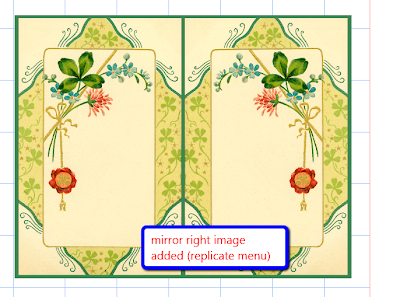 I wanted to emphasize the gold frame and bows around the center medallion and I tried three options. The liquid pearls add a lot of dimension but I had a hard time getting a smooth line along the edge. 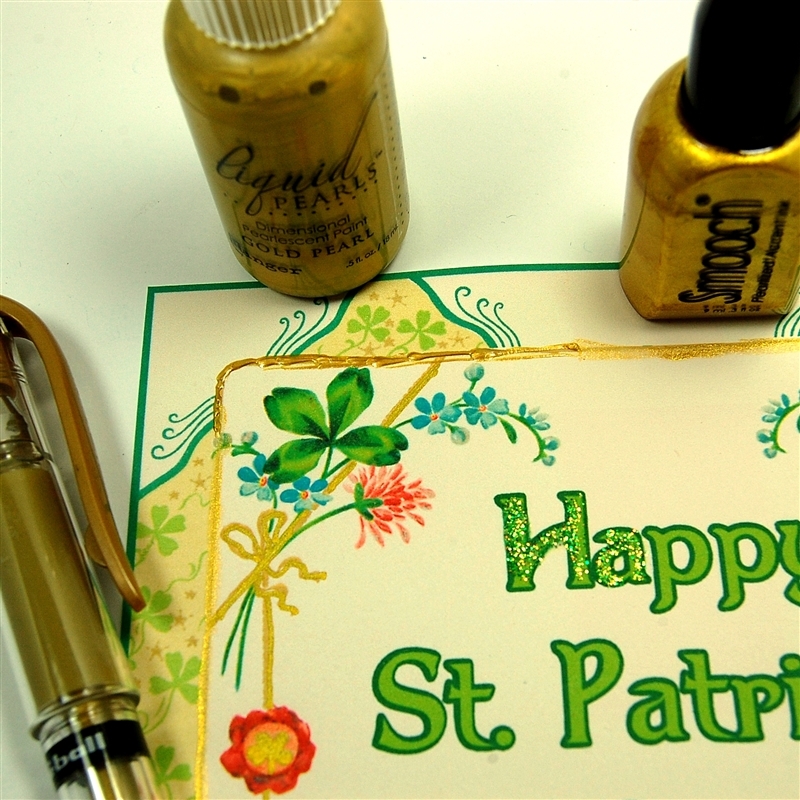 The Smooch gold metallic has a wand and deposits a beautiful glowing ink but this was also a little tricky to manage. I found that my gold Uni-ball gel pen was the easiest option for me. Adding the gold ink gives a subtle glow and definitely makes the card seem more finished compared to a plain printed card front. 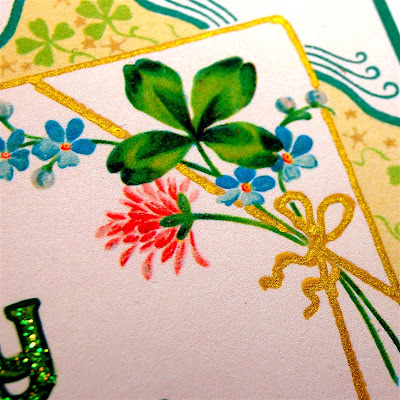 In addition to inking the gold parts of the design, I ran my gold pen around the layer of cardstock to create a shiny edge on the card. Little finishing touches like this can add a lot to the look of the final project. 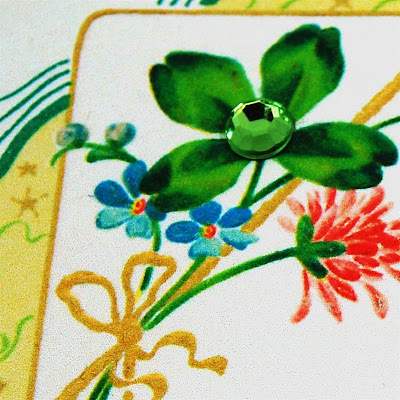 For a little more sparkle, I added a light green sticky backed gem in the center of each large four leaf clover (or shamrock). 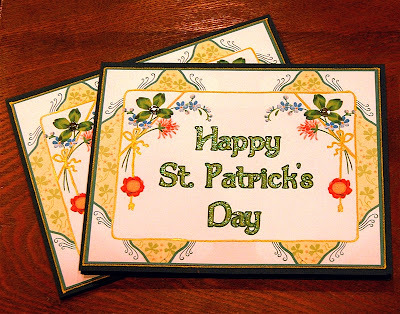 If you are going to mail a card with these gems, be sure to add a protective piece of thick cardstock or light chipboard to keep the gems from rubbing through the envelope. 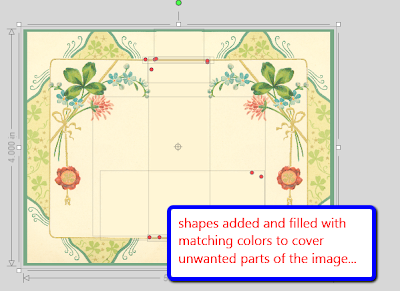 You could also print this layer and then trim out the center on a second print and add it to the card popped up with some foam squares for more dimension. 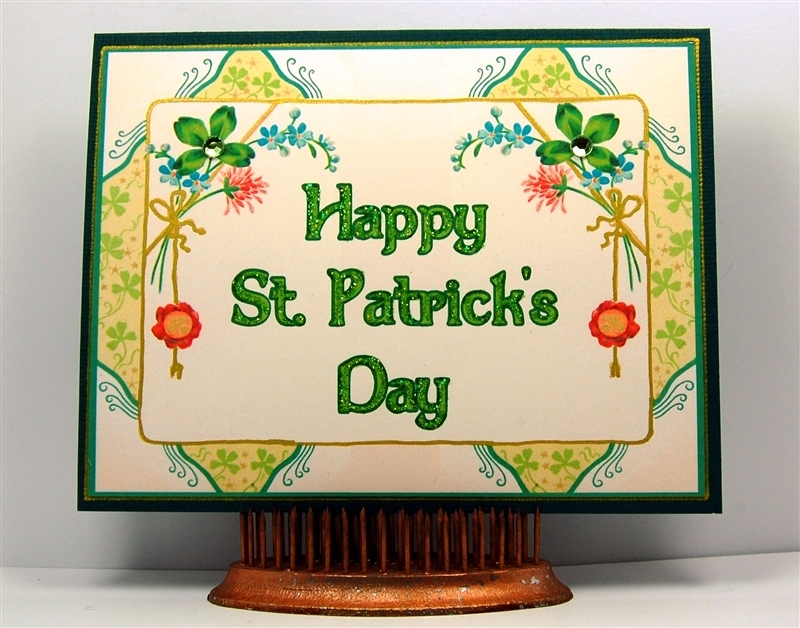 I used the Silhouette Studio software to create my St. Patrick's Day card fronts but you can use many programs to achieve similar results. This card was simply resized and printed four up on a page (see the full post HERE). The images from Twisted Papers cover a wide variety of holidays and interests. 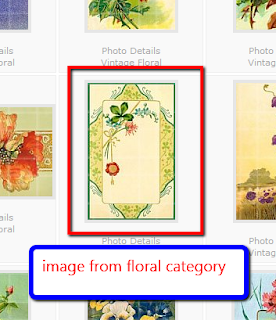 They are very high quality and can often be used a larger sizes. Most images cost just $1 and there is a super subscription plan that allows you to download up to 500 images in a 30 day period for $24.95. They also have a Facebook page HERE and a newsletter and sometimes they will offer free images to followers and newsletter list members. 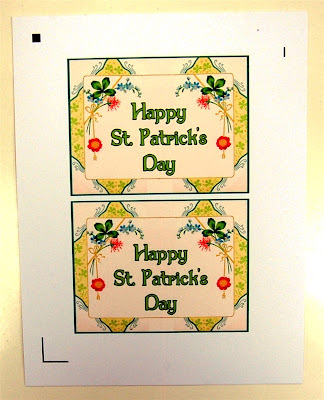 Once you have created the design, you can make lots of simple and pretty cards. Do you send cards for St. Patrick's Day? I hope that some of you were able to take advantage of the one day sale on Scrapinars yesterday. If you didn't get to read about the offer until it was too late, I am sorry. I had to try a few times to get the email notice set up to go out in the afternoon. If you are in one of the areas affected by the big snowstorms, please stay safe and warm. I loved this card! The nostalgic art work is set off beautifully by the enhancements.